These 40 ideas for handmade gifts you can make (all under $20) come from nature-loving gardeners. Ideas include succulent planters, candles, wood-working, items for bird-lovers, quick sewing projects, lotions and potions for body and bath, and creations for foodies. If you want projects to make with lavender, see 14 soothing & fragrant lavender crafts and recipes. Handmade gifts are not for everyone. In fact, I’m sure some (albeit shaky) relationships have ended after the exchange of a well-intended, quirky hand-crafted gift. Plus, in this era of excess, cheap merchandise, and internet shopping at our fingertips, it’s far too easy to fill our homes with a lot of stuff we don’t really need and will probably never use. Related: How to declutter your home and get on with life. When needs are few and stuff-overload is a reality, it’s not just the thought that counts anymore. Or, more accurately, you have to be extraordinarily thoughtful to find the right gift or go with something truly useful (with a creative twist). I enjoy gift-idea sleuthing. I may spend weeks or months casually dropping various questions or observations into conversations to ferret out the likes and dislikes of my targets. There’s nothing quite as satisfying as that ‘how did you know?’ look of delight when they open up the chosen item months later and it’s a perfect match. For those in your life who genuinely enjoy a handmade touch, this selection of DIY projects will give you lots of ideas. Most of them can be made individually or in batches. Start with the basics and add your own touches. And, if you really can’t figure out the right gift, you can always sponsor a goat. What a cool way to change lives for the better. Many local garden nurseries stock succulents are year round. You can also get plants by mail-order. 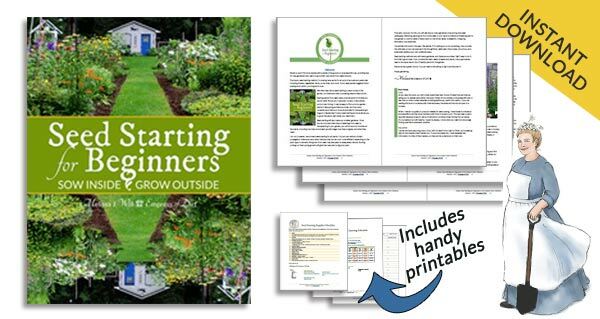 Include easy-care instructions for stress-free plant care! Bird houses, feeders, bird-inspired art. It’s easy to get creative for bird-lovers. Burn, baby, burn! Candles, that is. Easy wood-working projects featuring lovely, chunky slices of branches and handy caddies. Once you make your own body care products, you won’t want to use anything else. Sign up here for the free Empress of Dirt newsletter! These can be made by hand or sewing machine. Crafty items for the home and garden. There are zillions of non-perishable food items to prepare as gifts. Basically, if it can go in a jar or tin, it works! Wow! 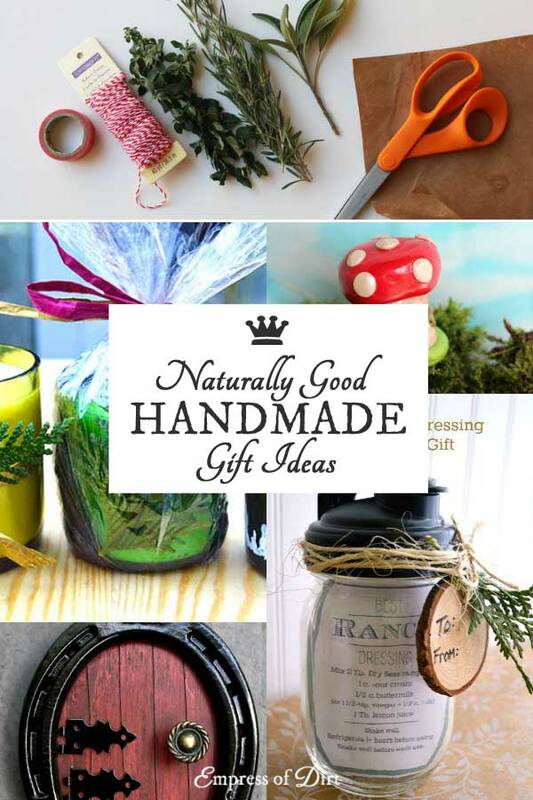 What a great selection of diy gift ideas! What a great list of terrific gifts to make! Thanks for featuring my photo transfer tea towel project.